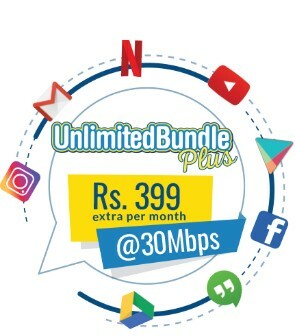 Nayatel brings Unlimited Bundle Plus @30Mbps speed with Unlimited Downloads for Netflix, YouTube, Facebook, Instagram, Google Hangout, Google Play and Google Drive in just Rs. 399/month (Govt Tax Applicable). In today’s age, service providers invest considerable resources in deployment, provision and management of network services. Such traditional solutions are time-consuming, costly and require dedicated human resource support. Nayatel brings TriOSS, an articulate Operational Support System for telecommunications service providers. TriOSS automated solutions ensure configuration, authorization, accounting, provisioning and integration leading to operational effectiveness. Nayatel’s cost effective, simplified, scalable and adaptive TriOSS solution optimizes your core business operations by reducing complexity and improving service quality. It’s been more than one and half year since I have Nayatel connection installed at home. I have no words to express their awesome and consistent internet service. In extreme storms and rains where the competitor’s service goes mostly down or customers face latency in internet speed, with Nayatel I never experienced disconnection or slow speed. On package loss, competitor’s router needs to restart within few days or at least once in a week but I haven't restarted my nayatel device due to any problem even a single time. Their UPS that is provided with the device is perfectly working and I have even tested it in extreme load shedding days, the device works for up to 24 hours. Overall, Nayatel gives me peace of mind and offers a great package. I am 100% satisfied with their service. Thank you so much Nayatel. I am very much sure to say that Nayatel Internet Services are the best services in Islamabad for Office and Home use. The basic reason for that is complete network of Nayatel is connected on Optical Fiber which is the future. 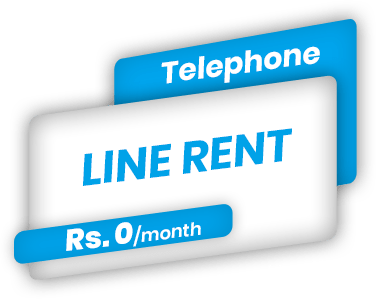 Although prices are a little bit higher than other ISPs, but I am a big fan of Nayatel services which are tension free for the clients as it provides services 24/7 with zero second down time. The customer portal also has very important value in the life of customers, by which they can access the portal and check the status of usage and complete reporting like billing, internet usage, phone call records etc. It’s been an absolute pleasure to have been your customer for the past 4 years or so. Your customer service and your staff are excellent and set the standard for the whole country regardless of which sector. I am moving out of the country for a few years so I am suspending my account before I go. Just wanted to drop a message to you before I left to thank you for a wonderful experience. My old internet service was not good. Their uploading speed was not good and I was having frequent disconnections. I came to know about Nayatel last month and after installing it in my home, I’m loving it! Awesome speed and no disconnections. I would recommend it to my friends and family. I was using Wateen since 2007 which was alright till Qubee took over and made my life miserable . But i have to mention that as soon as i shifted to Nayatel , peace prevailed in my life with same upload and download speed as promised , excellent customer service , nice useful value added services . I hope this company further flourishes in our country and keeps us at par with International Standards. I've read quite a few testimonials at your website before requesting my order, and I never imagined myself writing one. Bravo to the technical team and the sales team which made my life easier with your impeccable services through an early installation. I believe, it’s just the start for me to the wonders of your services. Being with PTCL for many years; this is like a life-change experience for me. I had been using another internet service provider for several years but due to poor services, I was not satisfied. I applied for NAYAtel internet connection but it was partially available in my area. Thanks to the CEO of NAYAtel, Sir Wahaj, who gave me the hope for Internet services ASAP. Today, NAYAtel has made my life easier and I am highly satisfied. Thank You NAYAtel for being marvelous and outstanding. NAYAtel ROCKS! Really enjoying the journey with Nayatel you guys are doing a great effort to keep up the services to the mark. Great .. been using nayatel since 4 years .. amazing service.. fully satisfied. i started my Services from **** internet but after sometime i felt that **** services is going to downwards. When i realize that i should switch the serivces. then i came into NAYATEL services and now more then 2 years nayatel never give me the chance of complaint. Nayatel is the Best. I was with a different ISP before and their internet used to stop working almost every other week. Finally, frustrated with them I contacted Nayatel and havent looked back on my decision since that day. I havent had to contact nayatel over internet issues *even once*. Got home to find out that internet wasn't working. Called support and within thirty minutes my issue was resolved. I have to mention here that this was the first time nayatel gave me such an issue but props to them for resolving it so fast. Definitely a customer service that many companies can take inspiration from. I am using Nayatel since March 2016. I am 100% satisfied with the service so far. It is the best internet service in the area. I would definitely recommend Nayatel to everyone. Previously i used many companies internet and cable TV, but now when we used Nayatel Internet, Cable and Telephonic facility now we are very comfortable. Thank You Nayatel for providing good services. Today, Saturday, July 23, a Nayatel team came to my residence and connected my cable TV and internet. I want to say that your team was excellent. They were prompt, courteous, professional, and very much knew what they were doing. Thank you for this service. Aoa. its been 6 months since i got nayatel connection. Its a wonderful and amazing service way way better than PTCL, and the good news is its very reasonable,the services are very satisfying. for all the people out there hesitating to shift to nayatel do it now ! My family have been ex- MBL users who shifted to Nayatel 2-3 years back and haven’t looked back ever since. We are extremely pleased with the level of customer service. The helpful staff facilitates you with trouble shooting over the phone or house calls. iVod is a great service especially all the content is PG rated :) We really appreciate the company’s team efforts in achieving it’s vision. Kudos! Considering Nayatel service, I am a very big fan it and their services which is just a email away. Staff is always very supportive and ready to get the solutions for customers. I would recommend other to use Nayatel then you will realize the difference. Good Luck!!! Have been a long time Nayatel user but recently got the HDBOX installed, i must say the service is exceptional. Channel quality is amazing and the added feature of iVod has rendered by media player useless. I normally download 1080p movies but since HRBOX have stopped downloading movies as all HD movies are available on iVod. Thumbs up to Nayatel and their services. Unparalleled and incomparable! This is what comes to mind whenever Nayatel name appears anywhere. I have been served for the last 3 years and there has not been a single chance that I got dejected. Guys, keep up the good work. You do not only meet customer requirements but you are also great at customer satisfaction and delight. Just writing to thank Nayatel for its consistent and continuous good service. I am a very satisfied customer for TV + Internet. If anyone thinks to have a reliable, always on , seamless internet service. I am personally recommending NAYATEL!!! Great internet, great cable and great TEAM!!! On time services are pleasant! Nayatel is the best of the best. Got what I heard about it. Keep it up guys. I have been using nayatel triple-play services, including HDBOX, from last 2-3 years and i must say that these guys are doing some amazing job at providing high quality services with a massive peace of mind for the user. i have become a huge fan of nayatel and constantly persuade my social circle to try it once…THUMBS UP !!!! I have been using Nayatel internet, HD box and telephone service, for the last two years. i want to say simple words as feedback regarding all Nayatel services is Nayatel representatives, “YOU REALLY CARE FOR YOUR CUSTOMERS”Fantastic Service in all respect, Timely and very positive response,Thanks Nayatel. Zabardast . Thanks for being the best service provider in Pakistan and the world over . Keep it up and don’t allow laxity in standards. Proud of you. It was raining since Morning and I was thinking that I might get an excuse that due to heavy rain in twin cities, we are unable to make installation of Fiber cable and setup HD box. I was totally amazed by commitment and dedication of all the engineer and technicians because they worked in heavy rain and extend their support till the time services get activated. Thank you for the fantastic service and support I have received while here in Pakistan!! We just installed a new connection of Nayatel and I must say that everything (Internet + Joy App) is just Outstanding. The browsing Speed is so fast that there is no buffering in streaming HD Videos. The Joy App is just wow like spending a onetime small amount and getting HD TV + 1000s of HD videos on iVod . I am a Nayatel user since 2011. Recently I reported, regarding some troubleshooting and masking of my favorite channels. I must appreciate and hi-light that with in no time sales team from Rawalpindi office and the staff from complaint/installation reacted very swiftly and addressed my issues within 36 hours including replacement of my digital box. I was provided with Nayatel services within the time promised to me. I am not used to such exceptional service because of my earlier experience with a different broadband, but I am more than glad to say that people haven’t been appraising Nayatel services for random reasons, I now have every reason to believe they couldn’t speak the truth any better. I’m one of the foremost fans of Nayatel and have always expected excellent service, but today’s experience with Nayatel staff that shifted our services to F-11 was nothing short of exemplary. The staff worked the entire day with a dedication that is almost absent from our market, and with an enthusiasm that you rarely find. No compromise on quality! That’s what I’ve heard from most, now I believe it. True example of team work, despite all technical fatigues. I must admire the leader of this honestly professional team. I am Nayatel user from the last three years. I switched my internet connection from PTCL to Nayatel because of bad performance of PTCL. Nayatel has a professional team under their belt. I really appreciate their services. Well-done Nayatel and keep it up. Wonderful service one can trust on. The slogan of trust and reliability is only by this company NayaTel. I am very happy with them as for as the service is concern is concerned. I am using it for http://www.tarteelequran.com as voice calling and it is awesome! No voice distortion no noise no low quality video. Every thing is perfect. Everyone out there you got to install Nayatel's HD BOX. It just takes to another world of crisp, clear and mind boggling picture quality and terrific sound. I watched few cricket and tennis matches live and believe me I felt as I was sitting in the stadium. It was a breathtaking experience without any exaggeration. Not just the HD BOX but the internet speed is phenomenal. Simply putting it Nayatel rocks. I am a very big fan of Nayatel and there value added services like I-VOD. 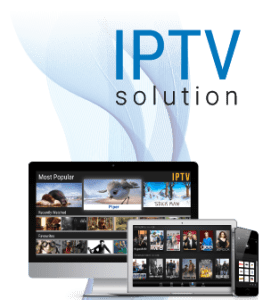 The new I-VOD portal is just awesome because now every movie is played on the website itself and the new design is also very good and the video performance and quality is also excellent. Good Work I-VOD Team. When we talk about internet service and quality, Nayatel is leading at the front with best internet packages, and speed. Apart from this the customer support services of Nayatel is outclass !!. Whenever i have faced issues the customer support team has done a great job in resolving that. Also the packages they offer to their customers in promotion really shows that apart from business they do really care for customer needs. 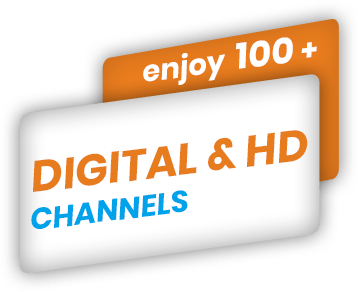 In Pakistan Nayatel is the best Internet and Cable service provider and if they maintain the same quality, I am sure they will maintain the No. 1 title. When we talk about entertainment then first word comes in mind is fast Internet.Only fast internet can entertain live stream channels.It is Nayatel who provided 10 live channels with the capacity of 6 hour recording. I have been using Nayatel Live since 8 months and this thing is amazing. If a person becomes a customer of Nayatel then it is much difficult to go others unless having no services in that area. I have been using Nayatel since May 2013, and truly speaking i have never face any problem in internet and cable services. This best thing is Nayatel staff they are the most cooperative crew i have ever seen. Nayatel is a real value for money. i would recommend every one to please switch to Nayatel for the best services. I'm very thankfull to nayatel team , i'm online teacher i used every available network in 1sb/rwp. Then i found nayatel and im useing it since jan 2012 i'm very satisfied with service. Keep it up. I am using Nayatel now for 3 months and i will rate them ten out of 10. Their quality of service is excellent and services such as ivod and live tv make the experience even more interesting. Great job guys keep up the good work. 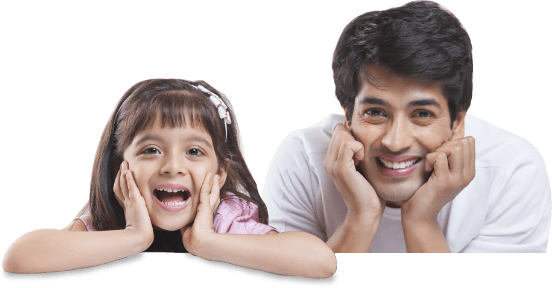 I have been using Nayatel for 3 years and I am very satisfied with their services The Nayatel team is always reliable when ever there is a issue with their services, either at work or at my home. They always come on time and carry out their task in a professional way. In the end I want to say that May your services grow stronger and wishing you all the best for future endeavours. I was already very big fan of nayatel and there value added services like I-VOD. The new I-VOD portal is just awesome because now every movie is played on the website itself and the new design is also very good and the video performance and quality is also excellent. Good Work I-VOD Team. Thank you nayatel for providing excellent service. Many thanks for providing Value added services like IVod and Live TV. And always maintaining high quality. I must say I am a satisfied customer. It definitely separates you from your competitors. Just want to wish the Nayatel team a Happy 2014, and extend a big thank you for your excellent service. I live in Dubai and for the past 5 years my Nayatel connection back home in Islamabad has been running smoothly for whenever the kids and I are home and need to use it. Despite my long absences from Islamabad, when I come home I am greeted with a fully functional network and, if at all there is an issue, I receive service in record time. In Dubai, where facilities are extensive, I do not get the quality of service form the providers as I do in Islamabad from Nayatel. Excellent work....thanks! Dear Nayatel team, wow!!! just found the valuable treasure of great collection with HD quality on ivod... I believe Nayatel is a complete bundle of entertainment. Thanks for providing wonderful services. As usual Nayatel team has delivered on time. We very much appreciate your team’s efforts in this regards despite the short notice. Definitely the best service provider in Islamabad/Rawalpindi. Have been using Micronet/Nayatel services since nearly the beginning of their inception and have felt satisfied all the way through. Hope and Pray it continues. Thank you so much for helping us out at such short notice. You & your team's hard work & speedy response was wonderful today. It meant our recording equipment is up & running before my chief engineer leaves for Hong Kong so thank you. I have been using Nayatel for the last more than 3 years and only a few times I needed their support but whenever I am trouble Nayatel was with me, till the resolution of issue. Trust me, they won't leave you alone when you need them. Special thanks to Tariq sb and Muazzam Ali who were real starts this time. Five star service with five star support. Highly recommended. Its been 2 months that i have switched over to Nayatel from other internet service providers, and i am enjoying it very well because they are serving what they have promised. I better say Nayatel really commits over Customer satisfaction. AoA, I am a resident of Lahore. I am eagerly waiting for the time, you will launch fiber optic service in Lahore. I visited my cousins in Islamabad in Ramazzan, where I used service of nayatel. That was an awesome experience. The quality internet service and amazing high definition video service was the really treat in addition to the beauty of Islamabad. My cousins are using nayatel from past 5 months and they are proud to have nayatel fiber optic service in their home. They also told me that customer support is best in Pakistan. Today I went to pay my monthly subscription in Witribe office and person refused to attend as only two minutes were left in closing of their office. That reminds me the day when I along with my cousin Rashid visited your head office to pay monthly subscription bit earlier than the official timings and we were entrained by the staff very gently. We went to the basement office, the person who attended us for payment was very courteous and the support manager who briefed me about your service was also very kind.Other providers are unable to facilitate customers in such a way. You have a great technology and team so you should start service in Lahore. I am sure everyone will go for your service. I am hopeful that Management and business development team will consider my request. You will make thousands of customers in Lahore. I would love to have your service in Lahore. Best of luck. I remained a client of Nayatel for more then three years, and I am proud to have their services. I have never seen such professional people in my life. They are dedicated, polite and keep their words. Presently I am in UK, and to tell you honestly, the so called huge service provides here in UK even can't match the standard of Nayatel. Keep it up. All my best wishes with you. Amazing service.I have no words to Thank you for such an Awesome service. It is really astonishing to receive a response call from technical support in merely 10 mins time by just writing a single line text. Nayatel did that for me and i felt proud to avail such level of service here in Pakistan. Keep rocking Nayatel. My few words will say it all about the services provided by NayaTel : Amazing, I am lovin it....!! I was really pleased to see the standard of work done by the team. Their experience, motivation, hard work, clarity and understanding is way beyond better than existing work criteria in Pakistan. Nasir, Inam, Zeeshan and Naeem have done a tremendous job and at every point were seeking my satisfaction though triple play is not a piece of cake. They well explained me all the issues and FAQ's regarding hardware or software I asked. Nayatel services and the way they are delivered are in competence with international services (U.K) i have seen uptill now. Hope Nayatel keeps growing like this. Well done boys. Today i got the installation team at my Place for Nayatel and i am compell to write this email for the level of service provided to me by the people of the team Mr.Mudassir and Mr Harris Mr Munir and the Supervisor Mr Mr Sadique. They were very professional very cordial and above all they were the most happy workers i have ever seen in my life I salute them for providing such level of service during the month of Ramadan hats off to them. I would like you to kindly forward this email to the top most level of your company for making these people recognized for the Service Standads they extended. I am A Happy Nayatel Customer. 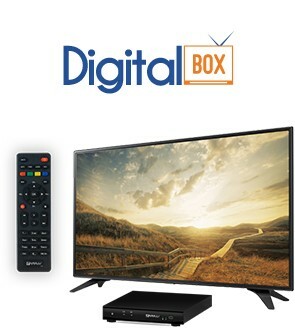 HD Box, Although a bit costly, but is cost effective. Amazing features are available on this service & picture and sound quality on ivod is very good. The technical skills & approach of the people who installed, was amazing. I think I have made a right decision of opting for nayatel as quality is visible. I am over whelmed and feeling pleasure to be a part of nayatel family excellent services supporting staff and hard working as well Iam sure my money will prove its worth after watching cable tv and using broad band iam dam sure now i made a right decision. I'll be honest with the fact that Nayatel has the best customer support in terms of complaints and problem solving. I was having serious latency issues while gaming on specific servers but their operational engineer was in constant contact with me till the route was optimized and the issue was resolved. Impressed with the company's stance on customer value. I fell in love with NAYATEL due to amazing services and great customer care. Earlier this month I had Nayatel services installed at my residence. M/s Nayatel services from start to finish were examplary and on a professional, knowledgeable, yet friendly level that far exceeds others. I express my great satisfaction with the quality of people from the company involved in installation and the services including internet and HD box/iVOD. Everything worked imediately and it was so refeshing to recieve a prompt and professional service. Please keep setting high standards for others to follow. Highly recomended. Many thanks I'd like to thank you for your prompt response time, able guidance and patience. Though the procedure for troubleshooting the router's range problem seemed like a difficult one, but your expert guidance made it seem like a breeze. Soon after, I found myself professing to my wife, that if there is any customer support in Pakistan that is world-class, it is Nayatel's. I hope that the quality of customer support at Nayatel remains top-notch and consistent; and that other organisations can attain the same benchmark in service that Nayatel had spoilt it's customers with. Amazed to see the professional attitude,craftsmanship,dedication and skill of the Nayatel team of workers laying the fiber/cable network at Fazaia followed by installation work at my home.U r matchless not only in Pakistan but all over the world ,I can assure. Ma sha Allah. It is unfortunate that I must cancel my cable service with you but I will be moving to another address where a cable service is already available. I have been satisfied with your cable service and I do hope that you will continue providing good services to your customers. I wish nothing but the best for your company and I know that you will reap more success because of your good service. Just a short note to thank your Tech Team for all their efforts over the past several days on the installing and configuring my Internet line and HD Box. I greatly appreciate the extra time that they’ve put into the work and feel that it could not have been successful without their involvement and continued support and dedication to get the work done . Please accept my personal gratitude. I am writing this letter to thank you for your outstanding work on the NAYAtel connection installation on December 3, 2012. Your installation functional expertise and attention to detail were tremendously valuable on the project. You were able to quickly understand the objectives and priorities and make positive, quality contributions to the installation, configuration, and testing processes. The quality of your work was recognized and appreciated. Your installation team's overall conducts were outstanding throughout the installation. Again, I would like to express my sincere thanks for your contributions to the successful installation. I look forward to the opportunity to work together again. Nayatel service is the best I ever had. Mr. Sajjad Ahmed and his crew went above and beyond what I expected and better than i ever recieved in the US, Lithuania (which was pretty good), Nigeria, Togo, Brasil and even Germany, all places I have lived in the last ten years. Sajjad went the extra mile the first day by working late to get me connected and when the UPS went bad at 1945 when I returned home, I called Sajjad and he and his staff had me back in business within an hour. Really super service. I am really impressed by the quality of Nayatel Triple play service. The quality of all three services are great. I am glad to see the utmost professionalism, commitment and hard work of nayatel team. The qualit of audio/video is much much better than our normal cable. I wish Nayatel all the best for their future endeavors. Keep up the good work. I Zain Umar, a recent addition of Nayatel Family from E-11/2 Islamabad is overwhelmed to be a part of Nayatel. The exuberant Internet and lightening fast speed is still on my toes. I humbly Thank you to be pioneer of Ultimate Excellence and wish you the very best of regards for your future endeavors. Nayatel Live is the best video web portal for news, drama, sports and movies. I will give nayatel 100/100. I'll be honest with the fact that Nayatel has the best customer support in terms of complaints and problem solving. I was having serious latency issues while gaming on specific servers but their operational engineer was in constant contact with me till the route was optimized and the issue was resolved. Impressed with the company's stance on customer value.Keep up the good work. I wish to pass along my compliments to the team that arrived promptly at my house yesterday to install my internet service. M. Nadeem, Zahoor Abbasi, Shabbir, Taimir, and Umair did an outstanding job installing my UPS and cable modem, were particularly courteous and professional, and demonstrated flexibilty in permitting me to us my own router instead of the model they had brought along. The assured me that my pre-paid installation fees would be credited for the unused router. Furthermore, they were kind enough not to leave until I had confirmed that I was able to get online using my own router (but they did not violate the rules of their own work restrictions by configuring my device for me).This was my first day in Pakistan, and I can't say how pleased I was to receive such professional, prompt service. 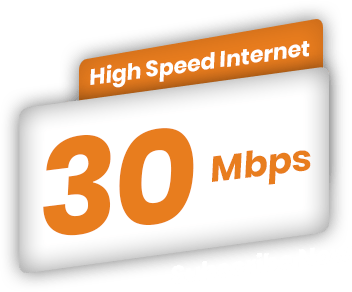 For a newcomer in your country, it means quite a lot to establish reliable, fast internet connectivity from day one. This was 22:30 on the 7 February. The internet connection was broken. Help was given quickly and efficently by a polite man. From witribe to wateen ,ptcl and so many more i ve gone through all of them but they all are simply pathetic as compared to nayatel ,since i am using it for the last 4 months i have nothing to complain about am highly satisfied with the internet spped its excellent and i can say that finally my search for the best isp provider of pakistan is over .My suggestion to nayatel guys keep up the good work and never ever compromise on quality of your services. Yesterday was a historic day in my Internet life. I finally got connected to Nayatel services. I finally got ON ! The balance which Nayatel team maintained between speed and quality of work was remarkable. I could not have asked for a better experience, a better team or a better team lead. Please note that this is coming from a telecom professional who has, as part of an entrepreneurial spree, once installed around 400 Microwave links for CM-Pak. I could clearly spot the resemblance between this team and the best that I had then. I remember I used to call my best team the Magic Team.The great support that Mr. Haroon Akram provided for NTL+MBL connections at one of my work places and the NTL at my home is also worth mentioning. He can close the sale very convincingly and has a very positive attitude towards addressing pre/post sales issues and queries. Already many neighbours have asked me about FTTH services and I have invited them over for guided tour. I am sure I will be referring some customers very soon. I have used the services of many ISPs during the last decade and I can safely say that the best are being provided by MBL/NTL and the 'award' for the worst goes to PTCL ! Having recently moved to Chak Shehzad, we obviously needed a telephone & internet connection. Our neighbours suggested Nayatel, which though more costly than PTCL, was well worth the buck. So, we tried it.And i'm glad we did! The team came on the day they promised, which proved Nayatel was reliable. The service team came the very day we encoutered a problem & left only after the problem was fixed & when we were satisfied. The team was polite & professional. The net speed was as fast as promised. The Cable channels are clear & offer plenty of variety. In short, i would highly recommend Nayatel. Nayatel is not just famous but actually the internet has some guts to prove its self at unmatched speed. It might look a bit costy in the begining but believe me, once you will go through it. You will come to know what is INTERnet. and nayatel has a good intallment plan as well. thanks to Nayatel. We are very much pleased with the delivery of service by Nayatel. Support is impressive as they guide you through every step. Everyone I have met during the migration of connection from our old office to new one is a professional and dedicated to his work. I wish them all God Speed. Dear Nayatel It was an amazing experience dealing with your support service tonight. I had internet problem and that brought me to your support staff. I spoke to Mohammad Ahsan Iqbal regarding my issue. He handled my issue in a manner that I will cherish for long time. He was knowledgeable, patient, helping, and polite. Very unusual, but he called me back and got in touch with me. Nayatel has an asset and that goes a long way in establish your image and brand. Keep it up, Ahsan. The technical team performed an excellent service today especially Mr. Adnan was very courteous and diligent in completing our Nayatel connections and changes. Inshallah with continuation of such a great service, Nayatel will find an ever increasing number of clients. Thanks and good luck! You guys are Awesome ! yes, with a capital "A". Just watched the movie on the iVOD portal in HD and had a great time. The service is superb, download speed is way past my expectations and the peace of mind that I'll have an internet connection no matter what is just a cherry on top of the cake. Yes, and the cake is indeed delicious! I would recommend Nayatel to anyone opting for a broadband connection, hands down.One thing though, if only I had the 5MB connection 24/7 instead of the 8pm to 8am restriction, I'd say, that's just too good to be true! One thing though, if only I had the 5MB connection 24/7 instead of the 8pm to 8am restriction, I'd say, that's just too good to be true! Hi, I just wanted to take a moment to extend my thanks to everybody at Nayatel and especially the installation team specifically Mumtaz and Haseeb for making installation process an awesome experience. They they took their time and did whatever was necessary to make everything working right. Outstanding work done! Its wonderful to deal with dedicated company and hard working team that truly cares about service and willing to go above and beyond the good-enough attitude. All these years I have used another company that was nothing close to what you guys offer. I have absolutely no qualms about recommending you to my colleagues and friends in the future. I am really glad and satisfied with your installation services. Your staff supervised by Mr. Altaf hussain is very professional, helpful and most importantly well disciplined. Thank you for this esteemed service. i am glad already to be a part of Nayatel family. Thank you so much Nayatel for the kindness in offering an Eid package to the customers,it is these little caring gestures that make life worthwhile. You are all doing a wonderful job, keep up your good work and prompt response to queries and concerns. I never found Internet service like Nayatel in islamabad. I am satisfied with Nayatel services and in future looking for good offers. oday your team have installed Nayatel at my premises and i am very glad to inform you that your team members Mr. Humair, Mr.Irfan , Mr.Muddasir and Mr.Nasir done a very good job today. I'm very impressed by their perfection in work . And also cant imagine that A Company with international standard Like "Nayatel" is working in Pakistan.Congrate all of You ! Excellent response time, and efficient professional support resulting resulting in high quality services to end-users.Well done Nayatel Team, great experience both the times, 1.A team visited last night for fixing the problem at 01:00 midnight and just now Mr. Fahd, who fixed all for me in a highly professional manners.Thank you. We are satisfy with the support in solving our issue of Mr. Fahad Hassan. Indeed the best. Not only with respect to internet, but with every thing. Starting from customer support, services, care and round the clock customer attention. The best staff that I have seen in my life. I have traveled the world, but I can tell you, no where in the world any ISP as smooth, supportive and dedicated as Nayatel.One thing needs improvement and that is billing method. It is very cumbersome to deposit bills. The service you provide is faster and more reliable than the service I have in my own home in the United States. I’ve greatly appreciated it. I have been using Micronet and Nayatel services for years now; thought it was high time I submitted a well deserved feedback. In the corporate world of Businesses in Pakistan, where the providers care only for customers until they sign a binding formality; Nayatel and Micronet to be honest are a very pleasant "abnormality" if I may say so. No matter what your concern is, no matter what time of the day; these guys will bend backwards to help you out and sort out your issues. The services are outstanding and the teams extremely cooperative and humble. I remember there was once a time when I was residing in I-8/2 and was having serious issues with Micronet; it was not their fault since the PTCL lines were still rusty. I used to call the teams over to fix issues for me at least 5 times a week. The same team used to visit me every time and they always had a smile on their faces. I must admit, if they can satisfy a tough customer like me, Nayatel and Micronet is the only option for any individual looking for pure quality. Keep up the good work guys! I've been meaning to compliment your team every time I've had to interact with them. Our cable was cut in the next street and your team was troubleshooting it till 1 am at night. Besides the quick turnaround time, I just wanted to congratulate your entire staff on their polite and professional attitude and their willingness to help. Its a pleasant surprise to see such ownership of customer service in Pakistan and your entire team and your head of support deserve special kudos. I hope you can take the service to other cities soon, inshaAllah. I would like to thank you for your wonderful support in setting up and installing internet and cable service at my residence. Your technicians worked long and hard to do the installation. A special thanks to Sajjad. Dear Sir,It gives me great pleasure to report to you of the outstanding services and customer support received from your organizationNayatel and its affiliate Micronet Broadband have been partnering Pakistan Television Corporation since 2002. With the addition of the brand Nayatel in your bouquet, we are pleased to inform you that the quality of service and most importantly customer satisfaction coupled with top notch technical support is most appreciated by myself in person and by our organization at large.From Internet connectivity to resilient network with zero downtime, to your robust teleconferencing services to unparalleled and reliable bandwidth, to seamless FTP services and ensuring cent per cent customer satisfaction, the brand Nayatel towers above its competition in the country, and we are happy, content and proud partners and customers for your esteemed organization. We wish you continued success. We have recently installed NAYATEL at our residence. It's completely superb out of this world, economical and the reception is very clear. I strongly recommend it to everybody. Amazing video quality and you get good return for your money spent, and the internet browsing speed is also quite impressive , nayatel on the whole is very satisfying and keep up the level of your service same in the future. We were today visited by Nayatel Quality Inspector Mr. Abbas Ali Sajid. He thoroughly checked and confirmed that all Nayatel equipment and installation was performed with professionalism and with great quality. He also checked that some extra charges were added in the installation cost which was undue and was actually free as part of the package. He waived that off for us and saved us some amount. We are really happy with Mr Abbas' conduct and would like to thank Nayatel for their great customer care and quality internet service. This is to commend Bahawal Sher for his services provided to the Nayatel system at Mr. Istaqbal Mehdi. He was extremely professional, quick to detect the fault as well as very polite and diligently corrected the fault. He has an enormous potential to grow professionally and reflects the prompt service of Nayatel. I would like to give thanks to this company in general! 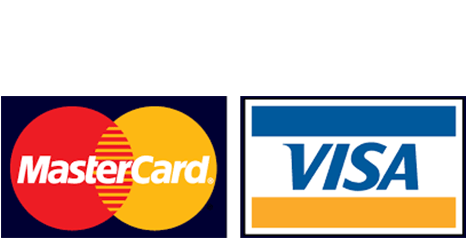 Its a great service that all you need to do is get there connection and then pay your monthly bill. You guys are the best!!!!!! Dear wahaj bhai, hope to find you in the best of health & spirits. I would like to thank you and your staff (especially Mr. Asif and his team member Mr. Shoaib, Mr. Yasir from technical side), for the hard work put in providing, installing and making functional Nayatel connection at my residence. I am extremely impressed by the professional attitude and dedication of Nayatel team, which is rare for a local company. I hope all the other local companies follow Nayatel and prove that we can compete with any multinational company, through our hardwork, dedication and services. My prayers and best wishes for Nayatel for the future. Dear support team! We truly appreciate your services, and glad to see Nayatel excellent petrolling 24/7, as we were not expecting, but Nayatel proves to be the best amongst competitors. We just want to say best of luck for your bright future and keep the hard work going. I take pleasure in writing this testimonial for your esteemed organization, NAYATEL. From the very name, it assures of something new, innovative, dynamic and upcoming. I feel proud to be one of the satisfied customers of NAYATEL. After trying all other services available in the market, I finally switched to NAYATEL. Though, it has high initial set-up costs, one feels comfortable with the days to follow. Right from the word "GO", staff of NAYATEL were found to be competent, prompt, honest, professional and caring. 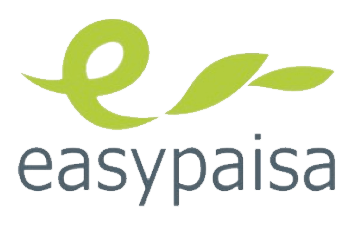 The whole process of installation, connection and activation was found "Par excellence". I have been using the services of NAYATEL, since December' 2009 and never let down by any type of hick-ups, power failures or system outages. I am very much satisfied with the service level and would recommend everybody to experience the courtesy of while staff of NAYATL, provided their Cable Network is around. I wish every success to Management and Team of NAYATEL. Special thanks to Mr. Muhammad Arshad Majeed who always reach me before time and always stay in touch to provide enhanced quality services, meeting his commitments and always delighting me. I am really thankful to Nayatel for providing us EXCELLENT internet services, round the clock, which is helping us to keep align our business needs with national and international customer. Nayatel customer support is so quick and competent that we feel it part of our team. They are always with us when we need them. I am John Wooker and i have been using the services of nayatel for almost a year. I have never faced any sort of major complaints or issues regarding the ISP till now. I think it was the last day before Eid holidays when i faced an issue regarding the working in my Asterisk Server(Local Usage). Although i knew that this issue has nothing to do with the nayatel as my asterisk server was not live(No IP Blockage Issue), but as the nayatel support remained so competent through out my stay i decided to get the help from them and here they go......... Initially my call was transferred to NGN (Voice Department) but the concerned person told me that "there is no issue regarding the telephony service at our end as far as the service of POTS is concerned", and right he was( :)) As there was no issue at Nayatel's end ). But i called in call center again and there i met the guy named Habeeb (I m sorry in case i did some spelling mistake In name).I told him about the complete scenario at my end and insisted him for help. I must say that the guy was extremely intellectual and helpful as well.He remained so cooperative and his temperament was admirable. Actually there was some issue regarding the security key (encryption type) embedded in the access point of asterisk (As i was using my cell phones"WIFI Enabled" as the SIP clients to connect to the asterisk via wireless connection). He also did some configuration changes in the router and completely resolved my issue. At the end of my Email i must mention there that "It is the support of Nayatel that mark a clear boundary between other ISP's and Nayatel." I have been using Nayatel for the last more than two years and really found the best service in town. Here I must Congratulate Mr. Wahaj, who is not only competent but also upright and honest person in todays business. Keep doing good job and provide good incentives to the customers in terms of reliable and latest services. Just wanted to let you know that my Internet and Cable were installed yesterday. I wanted say that the service provided was exceptional ! The crew was on time, professional and neat. They left everything exactly as they found it with the exception of the installed equipment. The crew kept me notified of all activity and every question was answered to my satisfaction. Thank you for the excellent service. I would like to say thanks to you and your team for extraordinary support, specially your installation and hotline teams for working long and off hours just to uplink the connection. I am most obliged to Mr. Hussain Ali for putting my Tv channels in order so that i can watch the news and the cricket matches in my bedroom. He is an acomplished IT Engineer and I wish him good luck in future. I take this opportunity to express my appreciation for the impressive professional conduct of your staff. Though I have been your subscriber for many years but only recently have installed the Nayatel system. From the signing of the forms till the installation of the services, each member of the staff greatly impressed me. It is rare to experience such high degree of client satisfaction in Pakistan. I congratulate you, Wahaj, Khokar sahib and your team for achieving such high standards. I am confident that I will experience the same quality of services in future. Nayatel got in touch very fast. I got my triple play services installed after 12 days but the services are worth the wait. Excellent, crisp and crystal clear video quality on TV and very good internet services. I just wanted to drop an email and let you all know that I am really pleased with the services provided by Nayatel. The internet, cable and telephone services all work perfectly and live up to the standards set by Nayatel. I hope this continues without fail in the long run also. I would also like to appreciate the professionalism and respect shown by the team that came to my house for installing the necessary equipment. Thank you so much for the hard work you all put in on such a short notice and really appreciate the way you all worked together as a team to ensure that job was completed accurately and efficiently Thank you very much. I am very happy with the services of Nayatel. Our connection is going very smooth without any interruption.I would like to thank you for meeting your commitment with EmergentSoft for providing in time connection and making our business smooth.Other than this my special thanks to your installation team specially Omair, Zeeshan and Fahad. They people are very cooperative, professional and dedicated to their work. The quality of work has really impressed me. Reference to your swift response and support in NADRA multiple projects (Specially Video surveillance and conferencing and related projects) NADRA really wants to appreciate your team response and support in these crucial times. Nayatel response time and technical support makes your company different from market. In persistence of this support we expect same in future. I would like to thanks the management of Nayatel for taking personal interest in completion of this task which seems impossible couple of months ago. Special thanks for your efforts and all relevant Transmission, Access and Core teams. It is worth to mention that Imran Hussain as a Transmission team lead , Bilal Tariq and Muslim Abbas done really tremendous job by keeping our critical links down time to just 5 minutes in this shifting. Moreover the professionalism and commitment shown by team was awesome. I am extremely thankful to Nayatel guys (Ehtisham from Sales, Mubashir, Mohsin and Waqas from Technical dept) who assisted me setting up my third connection with you. Their professionalism, timely support and extremely positive attitude made me write this email. I look forward to continued support from Nayatel. Dear Sir,>Good afternoon! It gives me great pleasure in conveying our heart-felt appreciation to you and your team in the way you have successfully completed the relocation of nayatel connection. In particular, I appreciate your dedicated commitment and service. I hope to see the best of your work in the future. We switched our Internet connection from dialup to DSL in 2003 and since then we love services provided by Micronet/Nayatel. Now we are enjoying Internet Services through NayaTel. We have also switched our telephone system from PTCL to NayaTel which we think was a great decision at our end. Above all, I commend Micronet/NayaTel for providing quality services and response time! Keep up the quality work! We the administration of SKANS School of Accountancy, Islamabad like the Quality of Service of Nayatel, the Sister company of Micronet DSL. We have get a new conection of MBL for F-7 campus. Now we are getting 2 more connections of Micronet DSL for our other campuses. I am writing to thank you and the rest of the Nayatel team for their very helpful, courteous and professional assistance during the installation of a new connection at my residence. I am grateful to you as well for having expedited the process. Additionally, I would like to thank and record my appreciation for Mr. Arshad Majeed (Senior Sales Executive) for his help and particularly the entire installation team comprising of Mr. Kashif Qurban, Mr. Mohammad Irfan, Mr. Yasir Mahmood, Mr. Umer Farooq and Mr. Muneer Ahmed all of who worked diligently and professionally in completing the installation process. I would like to specifically mention here regarding services rendered by Nayatel for Pemra. We applied for a new connection in our new building that G-8/1 Movue Area. Although the installation time was 15 working days but upon our request to Mr. Imtaiz .Mr. Irfan and team showed full zeal and professional attitude towards their job, skipping lunch time and working late hours for speedy installation. We in Pemra are thankful towards this dedication of nayatel specially Mr. Imtaiz for his cooperation and Mr Irfan and team for their hard work which has helped us in serving people. A quick note to thank you and your team for all the efforts in making a smooth transition. As a techie I do realize and understand the glitches and hiccups one goes through in situations like this, however it is important to mention the support we got from you in this regard. Please accept our Thanks. Looking forward to a wonderful working relationship in the times to come. The service being provided by Nayatel continues to be superb. I would like to thank the Nayatel team for their professionalism throughout the installation process at my premises. The fiber optics connectivity is excellent and the quality is without a doubt unmatched. I hope you guys continue the same hard work and keep on bringing the latest technology to us customers.Thank you and best of luck! I would like to take this opportunity to let you know how impressed I have been with the quality of your internet and cable TV services. I have had no trouble at all with either since they were installed over six months ago; and I find your customer information and billing arrangements very efficient. It is a much better service than I ever received from a number of different ISPs and cable providers in the UK! I want you to know you have an exceptional employees, Mr Asif Khattak ( Technical Support Department) and Mr Hasan (Finance Deaprtment) , in your organization. Their calm, patient manner was a great help to me when my frustration was at an all-time high. 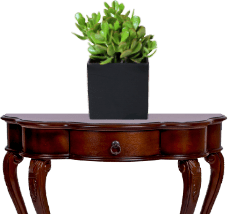 Their knowledge of how to handle a client in a good manner and about Tehnical support and their remarkable problem-solving abilities are rare indeed. If the quality of a firm's employees is an indication of future success, then NAYATEL has a very bright future. NAYATEL is fortunate to have such an energetic, talented employees on its staff. =Keep up the good work! To the Management of Nayatel I would like to congratulate you on providing me excellent customer and technical service. Your staff in both the departments was professional yesterday, despite being a holiday. The problem was resolved and my connection restored after they worked on it for half a day. I am a journalist and wish I could quote your company's example in providing a 'First World' service to its clients. But if I wrote about Nayatel, it would mean me promoting a commercial outfit. Still, I think others in the business should know that Pakistan too has organizations like yours where serving the client is uppermost. Hello to Nayatel Being an international company, when we came to Pakistan, we look for different Internet providers and got a feedback that nayatel services are really good. So we take an initial step toward Nayatel customer care. 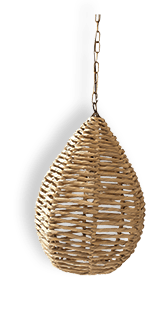 Which we found very helpful and I want to give special credit to MR Itasham, who personally visited our site and gave us very good suggestions. I really appreciated the service giving by your employee (name Yaseer Mehmood), he came to my house to check cable connection to my TV, and he did it within minutes.as i satisfied then i offer him to recieve my thanks by giving him some amount of money, whats make me appreciate him very much, he responded politely that "sir, thankyou so much i can't take it, this is my company obligation to provide excellent services to all costumors".congratulation nayatel for your excellent service. Thanks for the free upgrade! Nayatel has never disappointed. Great job. Thank you for your prompt attention. I also take an opportunity to convey my appreciation for the efficient and prompt services pertaining to installation of a new connection done by your staff at our place. Please congratulate them for their excellent job.Have a nice day. We have had Nayatel staff at our house over the last two days for installation of a new system, and we are most satisfied with their professional work and service minded attitudes. There has been no complaint whatsoever from our end - only praise.Thank you very much. I must say that Micronet/Nayatel has come a long way ..Service level and specially the support from your company has been absolutely Top Notch.Again as usual, I thank you and your team for the support and the services provided to us on such short notices.Ovex Technologies was the only company from the ETC to be operational within 24 hours, and I must say that the level support and services offered by Nayatel played a major role for us to be operational. I rang up a little while back to inform you that the light on our ONT had turned red due to the fact that the switch was turned off accidentally. You were very kind enough to offer to send someone over to check it. Well, now it's turned green again & working normally, so I don't think anyone need come. Thanks so much for being so efficient & prompt in your help. I'm so glad I switched to NAYATEL. Keep up the good work. Thank you for exceptional service – always. Dear team This email is just to show my appreciation for the professionalism and quality of work that your deployment team showed during the installation at my residence, on saturday. The dedication they have is a rarity nowadays and is surely the reason why Nayatel has proved itself to be a league of its own. Dear Nayatel team, I am pleased to inform you all that data centre I-10 has successfully been completed. All the systems are on the network. I always have a strong believe in the exceptional potential of Nayatel team and this is yet another example shown by the Involved Members and thus making all of us proud. On behalf of Mobilink IT network team, I would like to thank you all for your efforts and moral / professional support and would like to specially thank Nayatel Management & core technical team (Masud Reza, Ahmed Afzal, Asim, Usman, Khurram & Omer) for their endless support in organizing / managing this activity to materialize such critical exercise. I also appreciate the efforts incorporated by transmission team as without their support the migration would not be possible. My individual thanks to every personnel for their hard work and dedication. Team, A job very well done..!!! Dear Nayatel Team,I would like to thank you all for the efforts made during the shifting our mail services from DANCOM to NAYATEL. It was indeed a pleasure talking to such professionals on the phone for support whenever required during this process. I would especially like to thank Mr. Ameer, who has been very vigilant and patient while helping us on the phone for getting a few issues resolved. Mr. Ameer was available whenever we called him up and despite of daily routine, he helped us with all the patience, which is highly appreciated. I would like to express that the team of NAYATEL is professional and we look forward to strengthen our relationship with NAYATEL in the future. Gentlemen, Your crew made an enormous effort running fiber and installing the ONT overnight to help support our mission critical work. Each member of your overnight crew is worth commending, their professionalism and speed has earned your company the value it deserves. Above all on behalf of Lockheed Martin Corporation we would like to thank you and Mr. Saleem for executing on such short notice.We look forward to your commitment and continued support. I do appreciate your support and efforts to provide us quality services in Islamabad.For the first time ever we have got quality services for internet and TV . We are enjoying your services and I will only say that it was worth spending money. While I was not very happy with the time it took to have the service commissioned, I was very happy with the level of knowledge and professionalism of your people. This is the first time I've seen people in this industry who actually know what they are talking about.On the service itself, even though I've used it for a couple of days but I can already tell that it is blindingly fast compared to the DSL service I had from another provider in the past. It seems that I am getting around 300Kbps on my circuit which is an very good deal for the price I am paying. Another key difference that I have noted is the reconnects are extremely fast and I did not have to call your support line even once even though I had to disconnect and move my router around to find the optimum coverage spot for the wireless reception. The only thing I was a little disappointed about was that streaming video is still not possible.While my prime need was to have a fast and reliable data connection, the video output is also very clear and crisp and all the channels of our interest are there. Most important of all though, it works every time I switch on the TV compared to my previous cable service.